Ukraine “will return with peace” to Crimea and Donbass, Ukrainian President Pyotr Poroshenko said on December 31st in his New Year address. In his speech, Poroshenko addressed the residents of Crimea, Donetsk and Lugansk People’s Republics. “By all means, we will return to you with peace, no matter how long it takes,” he said. Poroshenko also said that over the past year, Ukraine has moved still closer to Europe and farther from Russia. Kiev’s strategy, which has been consistently implemented since the days of Maidan 2014 is said to contribute to this movement. 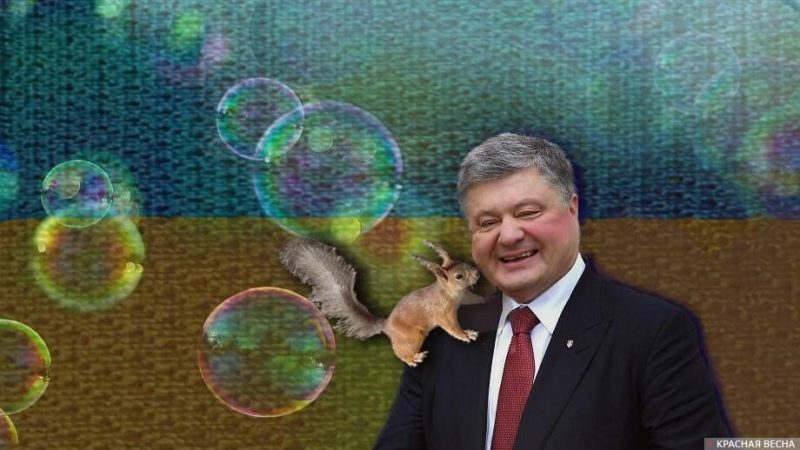 The Ukrainian president also sent his compliments to those who took part in the anti-Russian provocation in the Kerch Strait, and were detained by Russian border guards in November. According to Yury Biryukov, the Ukrainian President’s adviser, the Ukrainian army occupied the entire “gray zone” that separates the positions of the Ukrainian army and the territories of the LPR and the DPR in Donbass on December 27. Ever since 2015, after the Minsk agreements were signed, the presence of Ukrainian troops in the “gray zone” has only been growing. This entry was posted in News from Ukraine and tagged Crimea, donbass, DPR, Informational-Psychological War, LPR, Poroshenko, Ukraine. Bookmark the permalink.